Yesterday’s joke has actually turned into a self-fulfilling prophecy; I’ve been eating pumpkin non-stop all week. And I can’t seem to stop. Maybe there is some truth to my Long Weekend Hangover theory after all. Pumpkin does make everything better. Oh, and I have a great Pumpkin chia pudding recipe coming up. It might be one of my all-time favourite quick & easy pumpkin recipes. It’s that exciting. 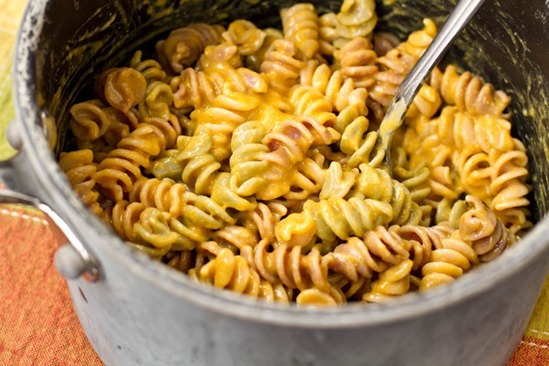 I was thrilled to find out that many of you went crazy for my Butternut Mac ‘n Cheeze recipe. 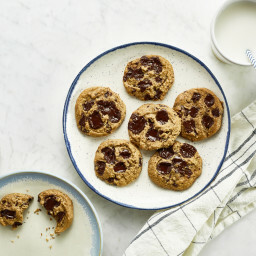 This recipe might go down as one of the most popular in 2011. I received all kinds of comments, tweets, Facebook comments, and emails about this recipe last week. It’s always good to know that you guys enjoy the same crazy things that I do! 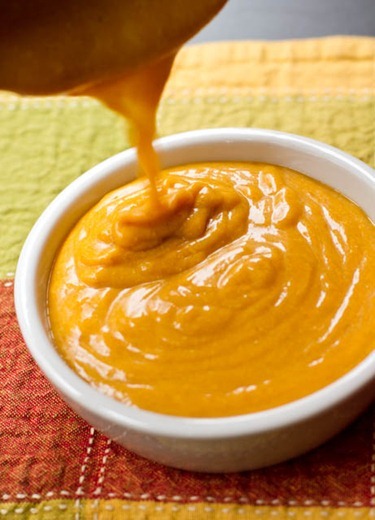 I knew a pumpkin version of this cheeze sauce was not far away. Many of you commented and told me that you made a pumpkin version and it turned out great. I was pretty excited about how quickly it would come together. All I had to do was stir in a cup of canned pumpkin at the end of making the sauce. Quick and easy! There’s no blender required. No food processor. Just a stove top (but I’m sure you could also make this in the microwave too). This Pumpkin Cheeze sauce exceeded my expectations. I couldn’t keep my spoon out of it. Ok, Ok, it was my finger. Sue me. Adapted from Butternut Mac n Cheeze. 1. Add Earth balance in a pot over low-medium heat. 2. In a small bowl, whisk together milk and arrowroot powder (or cornstarch or flour) and garlic powder until clumps are gone. Add into pot and whisk. 3. Stir in nutritional yeast, Dijon, S & P and whisk over low heat until thickened (about 5-7 minutes or so). Lastly, add in 1 cup of canned pumpkin and stir until combined and heated through. Store in an air-tight container in the fridge for up to 7 days. Nutritional Info: (per serving, based on 4 servings): 138 kcals, 4 grams fat (1 gram sat fat), 18 grams carbs, 6 grams fibre, 11 grams protein, 2 grams sugar. This was so easy I wanted to shed tears of happiness. I’ve been having my share of frustrations with recipes over the past couple weeks and to have something come together perfectly on the first try was welcomed. I love how orange the sauce is too. I never thought I would see the day when I would eat a cheeze sauce and feel healthy! The nutritional info was also a pleasant surprise (see end of recipe). I forgot how much protein and fibre nutritional yeast has in it! I also wanted to point out that I made a couple adjustments to the original recipe. I cut the milk down to 3/4 cup instead of using 1 cup to make the sauce a bit thicker. I also cut down the salt to 1/2 tsp instead of 3/4 tsp. Lastly, I increased the nutritional yeast to 6 tbsp instead of 5 tbsp. I’ve updated these changes in the Butternut sauce recipe too. I made two servings of pasta and added enough sauce until I felt like it was enough. As for which version I like better? It’s close. I would have to say the butternut version wins by an inch. You really cant beat fresh, roasted butternut! With that being said, I know I will end up making this version more often just because it’s so easy. Now, you can spice up this sauce any way you’d like. I think a little cinnamon stirred in would be lovely to bring out the pumpkin flavour. I actually added some dried sage (after the photoshoot) and that was nice too. I served it with red kidney beans and sautéed kale and a sprinkle of Herbamare. I also used some leftover cornbread topping and mixed it into my mac ‘n cheeze. Great idea. Wondering where to purchase nutritional yeast? 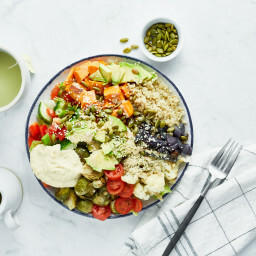 You can find it in the natural foods section of many grocery stores (Loblaws/Superstore carries it) as well as bulk food stores and health stores. I’m sure you can find it online too. For those of you who purchase nutritional yeast, please leave a comment and let me (and others) know where you buy it! What other ways do you think this sauce could be adapted? Any other mix-in ideas? Any other vegetables? I vow to try them all. I can’t wait to try this! And the butternut squash version. I bought my nutritional yeast at Whole Foods Market in the states…I think Stop and Shop may also carry it in their organic section as well. I have also noticed that you can find just about anything on amazon.com including grocery items. The butternut squash one made my night. I can’t wait to try this one!! Hmmm…. in my head, I’m not sure if I can bare to mix nutritional yeast into beloved pumpkin, but you’ve never steered me wrong, so I’m sure it must be good!! Sounds like your hands might be turning just as orange as mine are! ;) Have a great day Ange! I buy my nutritional yeast at Whole Foods as well and it is normally in the vitamin aisle. I also found it in the baking aisle next to the regular yeast packages (at least at the one in Dedham, Massachusetts!). Angela – umm, it kind of looks like you have a straw in the first picture of the cheeze sauce. I mean, I don’t blame you, I’d probably use a straw for it, but I’m just saying…lol! I’m making this as soon as I get back in town!! Despite my own vacation hangover, I read thins and immediate though about how good it would be with the Amarone wine I posted about today. LOL! This sounds SO amazing – perfectly savory. Am I crazy or do I not see pumpkin in the ingredient list? I knew I was forgetting something!!! haha. whoops. Updated. Sorry, I added it in! Yum!! This looks fabulous. I made your pumpkin gingerbread smoothie (minus the oats & chia seeds) yesterday and it was fantastic! Looks like this recipe is up next as I too am on a pumpkin kick! AWESOME ANGELA! This looks great! I think you have to be one of those people who love pumpkin, love squash, and love to take new challenges w/ food to understand how good this sauce must be! Epsecially for Fall. I can’t wait to try it. I know I will luv! That looks so gooey I can hardly stand it! Mac and cheese has always been all all-time fave of mine – one of the things I miss the most about dairy! The recipe sounds delicious. I will be trying this weekend with the leftover pumpkin in my fridge. My whole foods, at least, carries nutritional yeast in the bulk section…it’s a lot cheaper than the pre-packaged kind in the vitamin aisle. angela. you are my hero! this looks ammmazing. i loved the acorn squash version as well. i made this with kabocha squash and it pretty much rocked my world. thanks again for sharing. =) hope you had a lovely thanksgiving! 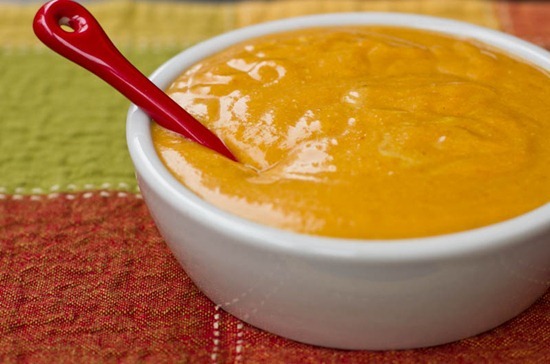 Ha, I was about to say what Claire said – perhaps the cup of pumpkin puree should be in the ingredient list as well as in the instructions :> This sauce looks amazing! It’s weird, I bought nutritional yeast a while ago BECAUSE I wanted to use it in “cheese” sauces, but I haven’t made one yet. I’ve used it for a lot of other things, though! But I think the time has come. I just made a similar butternut squash sauce the other day and included cinnamon, allspice, and sage. It was fantastic! Subtle fall flavors really made the dish perfect for this “cheese” sauce. I just bought a 22oz container of Nutritional Yeast on Amazon (gotta love Prime!) for $14.47, which is cheaper than what I found at Whole Foods. Once I get the yeast, that butternut squash mac-n-cheeze is getting made pronto! I buy my nutritional yeast at either Whole Foods, my local smaller scale health food store or online at Amazon. I am definitely making this tonight! YUM! Mmm..I really need to get my hands on some pumpkin. My “recipes to make” list is getting way too long. My favorite mix in for mac and cheese is broccoli! Always a winner :) You’re sauce looks amazing, I think I’ll have to try it this weekend! To fellow Canadians, you can find it in the ‘spices’ section at the Bulk Barn! I’m having the Butternut Squash Mac and Cheese as we speak. It is delicious, so so so delicious that I managed to consume 3/4 of the pan by myself yesterday *tap on the back*. I must confess that I wasn’t a fan of vegan cheese sauces until this one, and does this sauce ever take it home! As always, thanks for this recipe, you never cease to impress! Glad to hear that Irini! I bought a butternut squash to try this recipe! I am gonna have to stock up on pumpkin to try this one too! I’ve made Mac and cheese with sweet potato before but that requires the added step of cooking sweet potato. I like the sounds of opening a can way better. 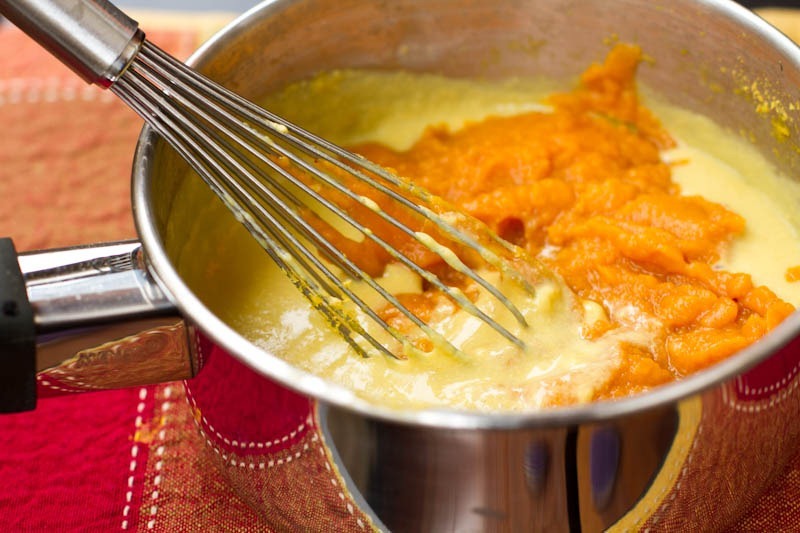 The best part about adding squash/pumpkin/sweet potato to cheese sauce? My 2 year old gobbles it up! Yes! I am so making this! I just got back from the grocery store and didn’t get any pumpkin…grr. That’s the only ingredient I’m missing! I’ll pick some up tomorrow and give this a whirl! I wonder if it would be tasty over roasted veggies?? The possibilities seem endless! Yes I think it would be good over veggies! Oh yum! What a great sounding recipe. I’m going to try it this weekend, if not earlier. Thanks for sharing. 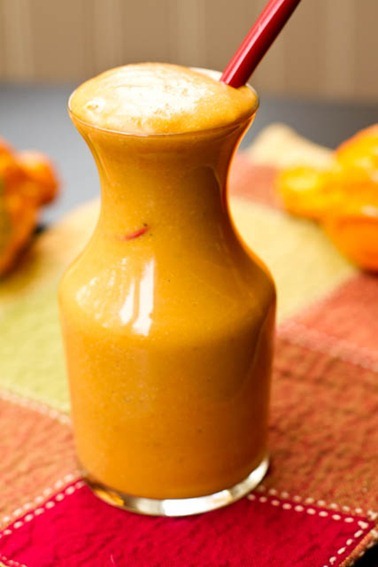 At first I thought it was a straw in the pumpkin sauce bottle and I thought “now THIS is a girl after my own heart.” Then I realized it’s a spoon… I SUPPOSE drinking the sauce ins’t the BEST idea, although, I’ll be tempted to when I make this! Can’t wait to make this! I have made the butternut squash version and it was delicious! It was my first attempt at a vegan cheese recipe too!!! What a winner to start with! I find nutritional yeast at a local healthy food store. It was hard to find, I needed to ask the owner. It was with vitamins and supplements! I do have a question though, is there a expiration date for nutritional yeast? The store only carried one size and it is massive!!! What else can I make with nutritional yeast? I was all over that butternut…but didn’t feel like roasting one. But I DO have 6 lbs of pumpkin! Oh boy, I bet pumpkin gives it a great texture. I always just make single servings of the sauce, it might be handy to have some extra around. I’m so excited to try this one now. We loved the butternut squash version last week. It was so delicious. I have been searching for a savory recipe fo pumpkin. I normally use it in sweet breakfast and dessert items. I can’t wait to try this. I think it would be cute to serve it in hollowed out little pumpkins. Seriously – Costco has it?! Well, now I need to go check that out! That is amazing!! How long would this ‘keep’ in the fridge? A week? I’ve never tried anything like this.. I am curious. I would guess between 5-7 days in air tight container. I just can’t wait to try this dish! It truly looks like a winnaaaaa. Hope you have a wonderful day Angela! It looks delicious! I’m always a little leery of using pumpkin in savory recipes because it seems too sweet to me. I can never eat squash or sweet potatoes because they are just too sweet. (Insanity coming from a girl who has an insane sweet-tooth). I just like my savory and sweet to stay away from one another! And yet still….ugh it looks sooo good! I can’t wait to make this. I made the butternut squash version the other day which turned out amazing! I am going to my parents this weekend and really wanted to make this for them but I am not sure I will be able to find canned butternut squash as they do not have a blender. Canned pumpkin is much easier to find though so thanks for posting this! I always buy my Nutritional Yeast in the vitamin section at Whole Foods – they have a Whole Foods Brand that is relatively inexpensive for a HUGE container. Do you ever roasted your own pumpkin to use in recipes? Right now pie/sweet pumpkins are far less expensive (here in central North Carolina, that is!) than canned pumpkin, and yield more pumpkin. And the taste & texture? Ohmygoodness so delicious. It also freezes really well for use later on … plus crunchy pumpkin seeds to put in/on everything (which I roast @ the same time as the pumpkin), including pasta! This looks delicious. Can’t wait to try! I get nutritional yeast in the bulk bins @ Whole Foods (again, in NC)! Hey Jesica, Yes I roasted a pumpkin last week and it was horrible! I think it was a bad pumpkin because it wasn’t sweet at all (even though it was a small pie pumpkin) I will have to try it again because I think I just got a dud! I can never find nutritional yeast! The closest whole foods is an hour away. I guess I will have to buy online. I love pumpkin, this recipe is right up my alley, I think it would be good w a sprinkle of nutmeg. Do u think it freezes well? I haven’t tried freezing it but let me know if you try it out! For those of us who live too far away from any where that sells Nutritional Yeast, you can order it from Bob’s Red Mill or even Amazon. You usually have to buy it in a little bit of a bigger size but it’s so worth it! Thank you for the amazing inspiration Angela, I’m a huge fan! This looks so good! And I love how simple it is. I’m seriously tempted to make this for lunch instead of leftovers. Bob’s Red Mill! And they deliver internationally, for anyone else who’s an expat! I can’t wait to try this – I’ve already made your butternut version twice! I always buy my nutritional yeast at the Bulk Barn. 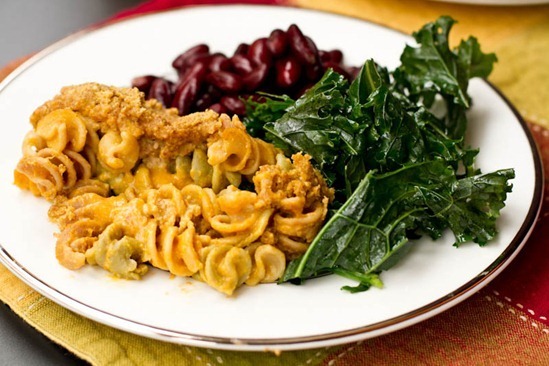 You make the best looking vegan mac & cheese I’ve ever seen! Yum! Just made Chole Coscorelli’s version recently– which is more italian like– but your version looks better! Love the addition of notch– one of my favorite add-ins these days :) Mmmm. Can’t wait to try! Wow-everything you make looks so amazing! I had an OSG recipe day yesterday it seems. My kids and I made your High Protein Garlic Mashed Potatoes and loved it! We couldn’t taste the beans at all-how cool! 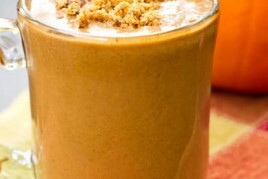 We also made Pumpkin Gingerbread Smoothie…sooo good! And today we’ll make the Ultimate Vegan Lentil Walnut Loaf. We would’ve done it yesterday but I was missing a few ingredients. Thanks for all the goodies!! Sarah, you’re on a roll! I’m so happy to hear the recipes are enjoyed. After reading your b-nut cheeze sauce recipe, I adapted slightly and made a pumpkin sauce and it was like crack! :) I add a dash of cumin to mine and less nutritional yeast, but oh my gosh, so good! Awesome update! I’m planning on roasting up a little baby butternut squash when I get home to make the butternut version. I was planning on mixing in some peas, spinach, and cayenne! Mmmmm, I made a similar sauce but I used goat cheese and I cubed and roasted up pumpkin and pureed the cheese sauce with the pumpkin. I know roasting a pumpkin is so much more work than opening up a can of it but really, it was soo amazing. No I won’t be roasting a pumpkin every time I want some (which is often) but once in a while its an awesome treat. I can’t wait to try this in hopes that it tastes enough like “cheese” for my kids. My son battles with some terrible acid issues in his tummy and we are working hard to find foods that are not so hard on his stomach. I think he is going to love this sauce over noodles! Thank you so much for doing the hard work of experimenting so I don’t have to!! Oh, I really hope it passes the test! Is Herbamare similar to Mrs. Dash? Is Mrs Dash sodium free? If so, then no! Looks delicious and I can’t wait to try it! I think you should come up with a great vegan version of a thick queso-like cheese dip! I made the butternut squash mac and cheeze last night and loved it! I’ve already sent the link to a few friends! This one is next! I love all this mac n cheese lovin lately!!! This looks incredible! Oh I want to dive into a bowl of that mac n cheeze sauce. I bet that sauce would be divine on just about anything..a veggie dip, a salad dressing even, a marinade…you name it, I want it! YUM! Sorry to hear that you weren’t a fan of it! The nutritional info was obtained from Nutrition data website and it’s calculated by their programs. I have yet to try pumpkin in anything savory.. this looks like a great start! Mmm this looks lovely, I think it looks much better than the traditional sauce! Can’t wait to try this!! I made your pumpkin mac n cheese last week and it was absolutely DELISH!!!! Hey Kathy! Funny thing- I HATED nutritional yeast when I first tried it! Actually the first few times. I thought the flavour was so off and strong. Turned out I was using too much. I think it would be a good idea if you gradually add it and taste as you go. You can always add more but you can’t take away it once it’s in. Goodluck! I agree, the pumpkin taste isn’t too overwhelming :) Glad you liked it! I made this for dinner tonight. Love it! 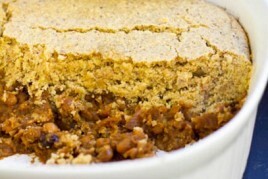 And your pumpkin maple baked bean cornbread casserole rocks too! I’m happy to hear you enjoyed it Mary! I get nutritional yeast at my local grocery store, ShopRite, in the natural baking section. I’m planning on making the butternut squash version sometime next week! I actually have some canned squash, so hopefully that’ll taste almost as good as using a fresh squash… Did you get any feedback from readers who made the recipe using the canned kind? I don’t recall, but maybe check out the comments to see if anyone posted about it :) I’m sure it would be fine! I made a pumpkin cheeze sauce as soon as you posted the butternut mad & cheeze last week. and I made it in the microwave! it took less than 2 minutes to come together, and was delicious! I buy my nutritional yeast at bulk barn, I practically eat that stuff by the spoonful, though I try to put something under the sprinkling….er…pile of yeast before digging in! Nice :) thanks for letting me know! I’m so excited to try this! I have a 29oz-er of pumpkin puree in my fridge just ITCHING to be used up (shouldn’t be a problem ;P). I always get my nutritional yeast at Bulk Barn. I have never seen it at Superstore (which I do 90% of my grocery shopping at). I’m not sure if Bulk Barn is the cheapest option (I heard iHerb online is), but it’s the most convenient for me. I love that stuff!! Just made the sauce and I love it. I think I’m going to have it for lunch tomorrow with pasta and I’ll put in some left-over Moroccan-spiced chickpeas, too. I think the flavours will compliment one another. I think this sauce will also be great over gnocchi for a change (from pasta). I can imagine it being great served over some kind of rice/quinoa/grain bowl, too, with fall veggies and a protein. thanks for the recipe! Great ideas :) Glad you liked it! I made the pumpkin version and it was amazing! I tossed it with sauteed roasted red peppers, zucchini and sundried tomatoes. Yum! You can buy Nutriional Yeast at Bulk Barn. This is the cheapest place I have found to purchase it. just made this for dinner, and it was delish! thanks ang! Glad you enjoyed it Steph! Looks delicious! I made the butternut squash Mac-n-cheez last week, and even my husband, who hates regular Mac-n-cheese, loved it! We were fighting over the leftovers for lunch the next day! I had to trick him into trying it by telling him it was pasta with a roasted butternut squash sauce, which is technically true! =) I get my nutritional yeast from the bulk bins at Whole Foods. I’ve also seen it in a glass jar near the spices, and also in a large container in the vitamin section, both at Whole Foods as well. hehe :) Sometimes I trick Eric too and tell him after he says he loves it! Yum! I have to try this! I have been experimenting a lot with vegan pasta sauces and that looks SO DELICIOUS!!! My hubs isn’t a big pumpkin person but I’m sure I could work it out. hehe. I used “original” almond milk (not unsweetened… just a little bit sweetened) because that was all I had, and it was still awesome. Added some kale, shiitakes, and pumpkin seeds… delicious! That’s great to know it still tastes good with the Original too :) Great call on the shiitakes…I will be trying that! This is great! 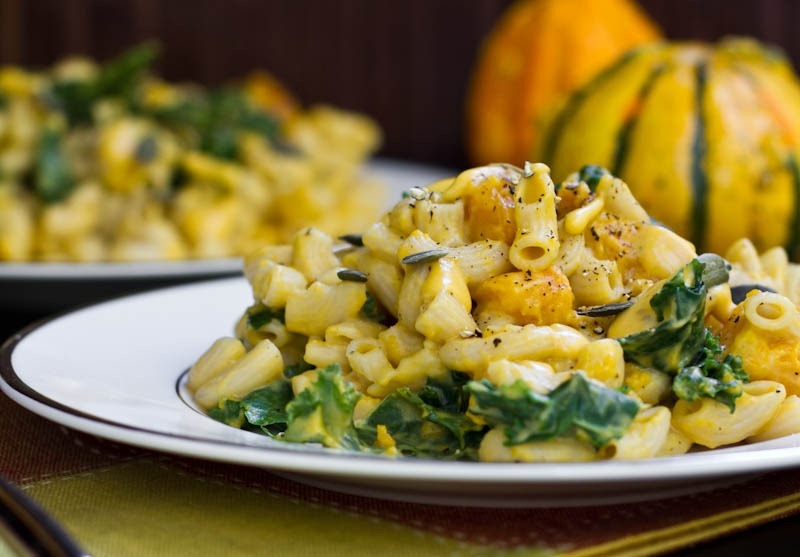 I love making my mac and cheese with butternut squash – so satisfying! Hi Angela! I love your site and all your recipes. I can’t wait to make this for my family! I have a GIGANTIC thing of canned pumpkin and don’t have any idea how I’m gonna finish the entire batch. I tried your pumpkin spiced latte and I just have to say that it is AMAZING. Even I, a person who hates coffee, loved it. I’m so excited to try this! I’m probably going to top it with nutmeg because I love that junk. Also, recipe suggestions: Sweet Potato Hummus? Pumpkin Nut Bread? Soft Vanilla Sugar Cookies? How To Make Applesauce Fun? Yum! I haven’t even had a chance to make the butternut squash mac n’ cheese and here you come up with something that looks equally delicious! Now I have to decide which to make first. I just made your GF Vegan Chocolate Chip Cookies for a friend who is GF and Dairy Free for health reasons and she loved them! Keep up the good work. Made the butternut squash one last week, I was AMAZED at how delicious something so simple was. Changes I made were to add a whole cooked onion to my coconut oil (rather than earth balance) and frozen peas at the end to the blended sauce. I think the onion did add some depth and flavour, worth the extra effort. Ooh this is going to be topped over steamed veggies in the very near future! I have been buying most of my health food store necessities from nutsonline.com since moving overseas….shipping is pretty fast. might be an option for some of you looking to buy nutritional yeast. I have a HUGE butternut squash on my kitchen cart right now…..after seeing this ….i think it’s calling my name!!! Let me turn the oven on, NOW! I wouldn’t say it’s very sweet. I don’t find pumpkin tastes sweet though. Angela, I live in Germany and when I buy nutritional yeast the package says the yeast shoudn’t be cooked otherwise the vitamins are lost – they are supposed to be sensitive to heat. Do you know anything about that? Hey Juliana, No I haven’t heard that before! 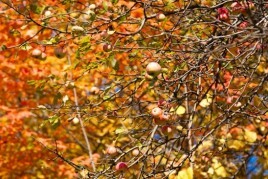 I hope it’s not true..
OMG…I just love pumpkin season..I have been eting it in almost everthing these past few weeks! I buy my nutritional yet at Whole Foods and Wegmans in the bulk bins. Yum, so creative! 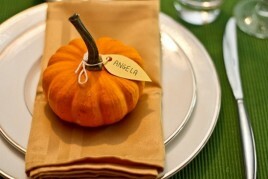 I posted your Pumpkin Butter on my blog today! I love the stuff! Going to have it in my yogurt for breakfast this morning! Mmm so tasty sounding! Yum! I subbed in smart balance light for less calories in the butter & only did 5T of nutritional yeast (I don’t like it to be too overpowering) and this recipe was DELICIOUS! I ate it with pasta & broccoli yesterday and plan on eating it again the same way for lunch today. :) Your recipes are my favorites. I am always sending non-vegan friends to your site to show them that vegan food IS delicious! I am not vegan and have never tried nutritional yeast, but I think it might be time to give it a shot! The nice thing is that it is sold at our local health food market (called Strawberry Fields) in bulk, so I can buy as much as I need and not worry about wasting it if I can’t quite handle the taste. Thanks for posting this recipe… for vegans and non-vegans who are just trying to expand their meatless meal options! Hi – this looks great! Can I substitute olive oil for earth balance? Or another type of oil? I’m not sure…I’d worry it might make it a bit too oily in consistency? You could probably try using 1 tsp oil? I really love the flavour that earth balance lends though so I’d worry about a strong tasting oil. Please let me know if you try it! I just skipped the earth balance and I thought it was fine. I am trying not to do too many oils due to the processing etc and from what I have seen, earth balance is made of several oils (though I cannot find the ingredients of some of them – only the type they have in our store). I just bought some nutritional yeast, 4.5 oz, from Fry’s which is like Sam’s Club/Safeway, only I think it’s only in Arizona. they carry a lot of Kroger products and the yeast was found by the specialty baking products (Bob’s Red Mill stuff). It was pretty cheap too. This looks delicious! I cannot wait to try it! I love all your pumpkin recipes – I was in India last year and what I missed most was fall and pumpkin foods! (though they had great pumpkin there that I just steamed and ate – but not the same in boiling hot weather!) I think this would be great on any grain – esp rice. Two ideas for you…a vegan pumpkin black bean soup (have looked for recipes but not crazy about any yet) and I have also made pumpkin soft pretzels…yummmmmm! Thanks for another great recipe – I am excited to be home this weekend (after many weekends away) to cook the long list of recipes from your blog that I keep a list of! Oh – and for nutritional yeast – not sure if anyone has posted about this but I order from Vitacost (not sure if they ship to canada) – I get so much from them and it is all discounted – supplements, cleaning and beauty products and organic foods. Last time I got nutritional yeast and lots of organic canned pumpkin and butternut squash! And free shipping to boot! I buy nutritional yeast at Whole Foods. They carry it in bulk and in a giant container. I usually buy in bulk only what I need. I cannot wait to try this recipe out on Sunday! Thanks! Just made this recipe, and wanted to let you know it was nothing short of AMAZING! It was so quick and easy to make, and even my die-hard lacto-carnivore brother in law was in love with it. I’ve tried a ton of vegan cheezy sauce recipes in the past, and they always end up a little too “nutritional yeast-y,” for lack of a better term. The blend of both the yeast AND the pumpkin was exactly what I was looking for — smooth, creamy, savory and delicious! Hey Val, I’m glad to hear that! I love love love pumpkin and can’t get enough of it! I love all of your recipes with pumpkin, keep them coming! One question, I have never used nutritional yeast (I am not vegetarian but I love your website and recipes!) is this something I can just leave out of this recipe when I make it? I am curious about this too. 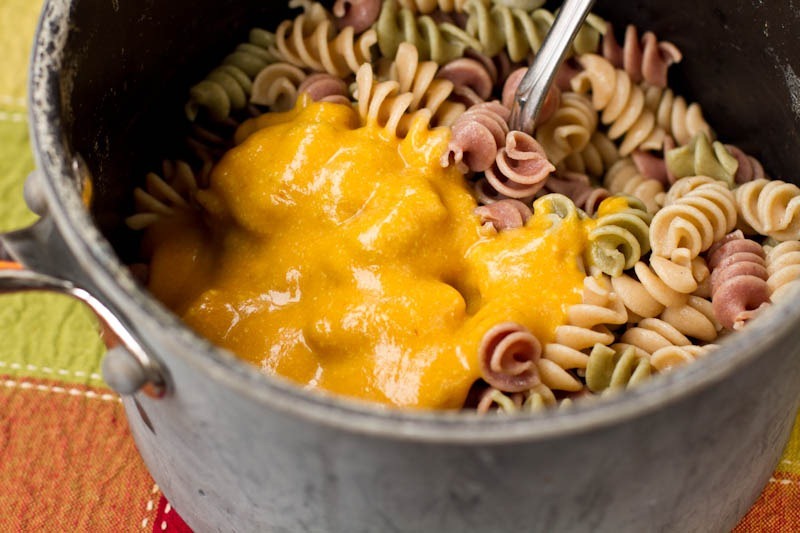 I seem to be allergic to yeast so have not tried making this sauce as I don’t know if it needs the yeast for flavor or not. . . .
Don’t leave out the nutritional yeast, that’s definitely what brings in the cheeze flavor. Almost every vegan cheeze recipe I have found uses nooch. It tastes so much like cheese its scary…as in I frequently put it on broccoli by itself for faux cheeziness. Hey Liz! Yes, Mary is right. The nutritional yeast is essential in the cheeze recipes as it’s what gives it the cheese-like flavour. I hope you can find some (there are a lot of wonderful suggestions on where to buy it in this comment thread too). NY is different from baking yeast and is okay for you to eat. I browsed but didn’t READ all 165 preceding comments, so I’m sorry if I’m repeating information. I just wanted to let you know that I recently found (and love) a canned version of organic butternut squash at Whole Foods. The brand name is Farmer’s Market Foods, and they usually have butternut, pumpkin, and pumpkin-pie filling. In our store, it’s on the same aisle with the canned fruits and other pie fillings. I have a hard time distinguishing between the taste of pumpkin and butternut squash once they’re mixed into a recipe, so I interchange them any time I have one fresh, but not the other, but I keep a can of each type on hand for pumpkin/winter-squash emergencies. Hey Monica! That sounds great I will keep my eyes peeled for it next time Im at WF. I’m also going to check out that recipe…do you have a link by chance? I just made this recipe for dinner tonight, and it is FABULOUS. I cannot believe how delicious it is! I was wondering if you had ever experimented with this cheeze sauce as a pasta bake or something like that? I don’t think I have, but I really want to! In the states you can buy it at Better Health stores or the bulk food store. I’m sure whole foods has it also. I just tried your recipe; used it as the sauce for a pasta bake dish with spinach and kale and it is delish. I made the pumpkin cheeze sauce and it was amazing! I made a spicy version and poured it over some baked tortillas. The pumpkin is barely detectable but the cheezy flavor really comes through. This is a great year-round recipe! Thanks! This was so good! I didn’t have any pumpkin so I had to use squash, but I couldn’t stop eating it! I made this tonight for dinner and it was incredible! My carnivore boyfriend even loved it and went back for seconds. I can’t wait to pour this sauce over even more foods! I found that one recipe was enough for 1 lb of macaroni, and I added some steamed kale in and it was so delicious. Thanks for the recipe! Angela, that cheese sauce looks AMAZING!!! I can’t wait to try it! I just made this for dinner tonight, and it was amazing! I had never tried a vegan “cheese” sauce before, and I was amazed at how cheesy it tasted! I also loved the subtle pumpkin flavor. I added the sauce to some pasta and peas, and it was perfect! Thank you for sharing the recipe! Made this last night. LOVED it. Husband not so much but that’s okay cuz there is more for me! OH.MY.HEAVEN! I just slumped back in my chair and savored every morsel of this delicious sauce! Thank you SO SO much for a wonderful recipe! This sauce is absolutely delicious! I made a few additions by blending some cashews with almond milk and white miso and adding it to the sauce at the end. For me, miso adds that “tangy” cheese taste. My whole family loved it. Thanks as always! I made this last night and combine it with kelp noodles, some ground ostrich and rainbow chard. It was delicious. Thanks for another great recipe. I’d like to know WHO would be storing this sauce in the fridge? I cannot wait to try it! I don’t think it will last more than five minutes! I made this last night and it was delicious! The only thing is, I used cornstarch because I didn’t have arrowroot and it made it quite thick- I ended up using a full cup of (nondairy)milk instead of 3/4 to thin it out. I made this with corn starch like Nikita and it was too thick. But very delicious! Just made this and it was a HUGE hit! Great recipe, thanks! It was delicious over raw spiralized zucchini as the pasta. I used coconut oil instead of Earth Balance since I don’t eat soy, and I used some water down coconut milk in place of other milk. I also upped my seasoning to include more garlic, some onion powder, and more mustard. For my non-vegan hubby, I sprinkled some real cheddar cheese over the top so that he wouldn’t realize that the rest wasn’t actually cheese and he was totally fooled. I think that when I make it next time, I’ll sprinkle a little raw vegan nut cheese on the top for myself too. Regarding the nutritional yeast, I purchase it at Whole Foods in the bulk bins. I was pleased to find it my local Vitamin Shoppe. Can’t wait to try this recipe! Just tried this and I am pleasantly surprised! I didn’t add a full can of pumpkin (it was too overpowering for my taste, maybe I would like the butternut better) and I added a little Valenica hot sauce and a ton of fresh cracked pepper. Yummy! Thanks for the recipe. Wow! Nothing short of amazing and has me thinking about all the other pureed veggies I can turn into ‘cream’ sauce! I served mine casserole like with blanched spinach layered on top sprinkled with bread crumbs. And unlike real mac n chz it actually tasted good as leftovers, maybe even better as leftovers! I loved this pumpkin recipe – very creamy and cheezy. Next time, I will try it with soy milk instead, I’m not a huge fan of almond milk myself but I did enjoy it regardless. I just made this and i just want to say thank you. Just made this now. It’s really good! Must say I added 2 extra tablespoons of nutritional yeast, 2 extra tablespoons of of earth balance, and a 1/4 cup more almond milk. I prefer a little thinner texture with more of a butter flavor. Haven’t quite gotten the whole brown rice noodle cooking thing down yet though – man they are difficult!! A tbs of tahini does wonders for this amazing sauce! Does it taste okay without the the yeast? I have a food sensitivity to yeast and am trying to stay away from it. I also can’t have cashews or soy among other things. I am trying to go vegan because I feel like It would be healthier, but I absolutely love cheese. I came across this recipe and it looked great, except for the yeast…will it still be good without it? I don’t think it tastes good without the yeast, as the nutritional yeast is what gives it the cheezy flavour. Sorry about that! I’ve had my eye on this for a while, but nutritional yeast isn’t something I’ve ever seen in the shops here (even health food shops) so it’s had to wait until I could order some online. Definitely worth it though! I did change it a little – I didn’t use any form of fat at the beginning and based on the end product, I don’t think it was necessary at all! I did use sweetened almond milk (I’ve only seen one brand here) so that might have made up for the lack of added fat. I needed to use quite a bit more than in the recipe – probably because I used cornflour (starch) rather than arrowroot. I also used chilli powder rather than garlic powder (which I didn’t have). However, the biggest change I made was to use sweet potato instead of pumpkin. I baked my sweet potato in the microwave then scooped the flesh out into the sauce. I then blended it using a hand blender, which also blended the yeast flakes in beautifully. I had 100g of the sauce with 50g (dry weight) pasta, 100g petit pois peas and a handful of chopped watercress – came to 318 calories! So, delicious and extremely healthy. I’ll certainly be making it again, and I’m planning what to do with the remaining sauce already. Just made some of this for tonight’s stormy dinner! I figured it would be nice and hearty to carry us through the hurricane. I might have gone a bit nuts with seasonings (I don’t know how but some liquid smoke got in there…and cayenne, sage, and paprika. WHAT?!) but it tastes soo yummy with the last of my frozen-so-it-might-not-survive-the-storm spinach that I needed to use up! This is amazing!! Over colorful pasta shaped like pumpkins and leaves, this made the perfect Halloween dinner. My pumpkin was a bit lumpy so I whipped out the immersion blender to get it silky smooth. Perfecto! OMG! this was so good and so easy to make! I sauteed some kale, mushrooms, onions and veggie sausage to add to the pasta cheeze mix, will definitely make this again! I’ve recently grown fond of using my mac and cheese to stuff a squash. This sauce sounds like a fabulous way to incorporate the squash into the sauce itself. Om nom nom! I just made this for supper and it was DELICIOUS! Would this be good If I added broccoli to it?? I had to finally leave a comment thanking you for creating this recipe! I have made it at least five times in the last six months, and I am in love with it. I follow the recipe pretty exactly, and always try to use tri-color pasta, and it tastes phenomenal even leftover! I had never considered adding broccoli, but the above commenter has inspired me, so I will be adding some to my dish tonight when I make this for the sixth time! Mmm. Hey Jill, Thanks for your lovely words! I appreciate it. :) Love your tweaks to this recipe. Looks like a great recipe and I hope to make it today! But I’m a little confused about part of the instructions. When you say “store in the fridge for up to 7 days” does that mean it needs to be refrigerated for that long or that’s how long you can store it if you want? I made this yesterday and it was really delicious! Thanks for such a great recipe. I really appreciate the short ingredient list and how easy it is to make! If you add a little bit of chili powder and or some petite diced tomatoes drained & some canned diced jalepenos, it becomes a nacho pumpkin mac and cheeze, or just pumpkin nacho cheeze, YUM! ABSOLUTELY AMAZED at this recipe. after looking on this site many times, have always enjoyed the recipes, but this was incredible. one thing – I didn’t have plain milk, so I used the vanilla – it had a sweet / cheese sauce type taste – very similar to what you might find in an upscale restaurant, maybe like a hollandaise of sorts. this will be used often. cannot thank you enough for sharing this recipe with your readers. for anyone in ottawa, i buy my nutritional yeast in bulk at market organics downtown. it’s super cheap there! Thanks so much for posting this recipe, I made it for lunch for my multi allergic one year old and it was a hit! I only ommited the nutritional yeast since he can’t digest that well and it was still so tasty served over steamed broccoli and cauliflower! My question is have you ever experimented with different flavors using this same method? I was thinking of next time trying a cup of mashed cauliflower n place of the pumpkin for a vegan Alfredo? My 16 yo daughter has decided she doesn’t want to eat meat anymore and I am totally clueless on what to cook her …….. I found this recipe and THIS IS AMAZING !!!!!!!!!!!!!!!!!!!!!! Just made this. I accidentally bought organic pumpkin pie filling instead of plain pumpkin. As I was making the sauce, I realized my mistake when I tasted it and it was too sweet and spiced. I added more dijon mustard, sprinkled a bit more nutritional yeast, puréed and added a bit of onion, and threw in some shredded Daiya cheddar. That helped a lot. In the end, I baked the whole thing like it was a casserole, and sprinkled more Daiya on top. The end result was absolutely delicious. I sauteed a sweet onion with the Earth Balance. It was delicious! I just started trying vegan meals. I have hyperthyroid and want to enjoy the foods I can eat. Thanks for showing me that health done not have to be bland. Mmmm, genius….nom..nom…nom. Must find something to dip in it! Hi! First of all, I want to stress that this is in no way a criticism. I LOVE your website, most of my family does actually. We suffer from so many allergies and this is one of the only sites that caters to all of those. Thank you so so much! One of the issues that I came across with this recipe was a sharp smoky flavor at the end. Here are all the differences from my process to yours. I used Smart Balance, cornstarch and Bob’s Red Mill brand nutritional yeast instead of Earth Balance, arrowroot. The sauce was in no way burned and it took about 3 minutes to cook instead of the 5-7 minutes you said it would take to thicken. Is one of my ingredients off or is there something else I’m doing wrong? Thanks for your feedback! I’m not sure why your version would have a smoky flavor? Hmm…maybe it was the canned pumpkin? I find some brands can taste quite different than others. I haven’t used smart balance before so I’m not sure if that would impact the flavour too. Sometimes nutritional yeast can have an off-putting flavour to some people if you aren’t used to it, so maybe try cutting that back a bit if you try it again. Hope this helps! Reducing the nutritional yeast definitely helped. Thanks! This was soooo goooood! My boyfriend loved it too! I had the cheeze sauce the next morning on Ezekiel toast with a fried egg on top. Now that’s all I want in my face. Yum. 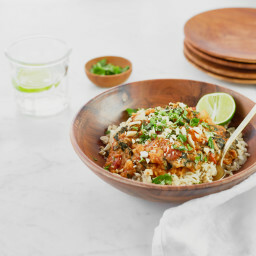 Wow made this with added pimp kin spice mix and an extra tablespoon of spicy mustard and OMG my meat eater friends couldn’t get enough!!! Yum just made this and it was awesome!!! I made a few pumpkin sauce recipes in the past and my preschooler rejected them but he liked this one. Even my husband who hates squash ate it. I love squash and will definitely be making this again!! It was so easy yet so delicious. My new favorite recipe. Thanks!! IT IS MIND BLOWING BUT FOR ME IT WAS MORE LIKE 1 PORTION THAN 4.. I have to say, this is one of my ALL TIME favorite recipes. It’s so easy too! How do I make the “cheese” sauce less bitter? I used flakes as opposed to nutritional yeast powder if that is my problem? As I’m eliminating as much fat as possible from my diet I didn’t use the earth balance. Still tastes great! I imagine it would just add a creamier texture? I made a version of this tonight. As I had more than a cup of pumpkin, I used about 250ml of milk and (sneakily) added in a can of puréed cannellini beans and fresh garden garlic. I dry fried some finely chopped mushies, which I stirred through the sauce. I topped the plated up meal with toasted sunflower seeds. The children declared it was the best Mac and Cheese, to date. So this is my new ‘go to’ recipe. Wow. Just WOW. It’s so good, I don’t even know where to start: it’s creamy, flavourful, smooth. I used coconut oil in place of butter, fresh garlic (sautéed it first), dried basil (love it) and only about two tablespoons of nutritional yeast (still getting used to it) and the sauce turned out a success! Thank you for sharing, you’re such an inspiration for me! Just want to say that I wanted to make this when I couldn’t lay my hands on squash, so I used the contents of a drained can of carrots. I’ve never bought canned carrots before, but they worked brilliantly for this. I tried this today and it is just awesome. Loved it! Thank you! Hi… Can I add guar gum to this recipe to make it sliceable? I just made this sauce. I did not have any good mustard so I left that out. I mixed some of the sauce with gluten free rice pasta, peas and sauted mushrooms and baked it. I am not vegan (just focused on eating more nutrients and plant foods) so I added a sprinkle of real cheese to the top. Sooooo good! Hi Amanda, I’m glad you enjoyed it! Just discovered this last week – my first mac&cheese since going dairy free two years ago, and it was truly amazing. I added in sage and tons of bacon crumbles (not quite vegan!) and it was spectacular. Disappeared way too fast. Do you have any experience in freezing individual portion sizes of this sauce? Or freezing it pre-mixed with the pasta? Thanks so much! My daughter is vegan, she loves that daya mozz. cheese, would the flavors go together if i layer some in there? I’ve been trying more vegetarian and vegan recipes to try and lose weight and improve my overall health. Although, I can’t seem to take the full leap into veganism due to not being able to easily find vegan substitutes in my area, this cheese is still my go to! Not only is it packed with vitamins, it’s low fat! My boyfriend and I love nachos and I’ve recently been using refried beans instead of meat and this cheese made into a queso is wonderful! Sadly, since I am on a budget and have to shop at Aldis, I had to use a tsp of real butter but – my thought process is I’m still eating better than I was before, no processed bag cheese today! So I tried this recipe last night and I was skeptical that it would be as good as ‘real’ mac and cheese, but knowing that it would still be yummy I went for it and I have to say I really liked this receipe. It was super easy to make and follow the instructions. It made a lot of food (which reheated well.) My only thing is I’d say think of this as ‘pumpkin cheeseish pasta” instead of mac and cheese and it’s a winner! I added bread crumbs on top which really helped it for me, and also served it with braised garlic kale in the same bowl which I thought was awesome!! I am allergic to yeast… is there an alternative to the nutritional yeast? And/or if I leave it out will be severely lacking in intended flavor? Thanks! Hey Kristina, The nutritional yeast does provide a cheesy flavour for sure. 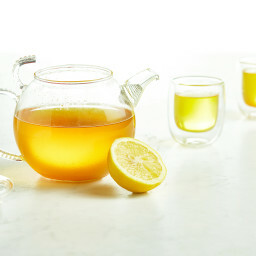 Since this recipe calls for 6 tbsp, I think leaving it out could really change the overall flavour. What I would probably suggest is looking for a vegan store-bought cheese (without nutritional yeast) that you can add into this sauce. Do you think that is an option? Oh my gosh I just made this and added some diced smoked tofu. It is AMAZING. A perfect way to use up leftover canned pumpkin. So glad you enjoyed it Michelle. I love the idea of smoked tofu…yum! OMG! I was very skeptical about using pumpkin in a savory dish but I gave it a try and this definitely was the hit of my Thanksgiving dinner and a recent potluck. Wow and I love that I didn’t need to use soaked cashews because sometimes I can’t wait the few hours it takes to soak them! SO happy to hear it was a hit, Samantha! After visiting this page and making this dozens of times, I have to finally comment and express my gratitude for this recipe!!! It’s an absolute favorite comfort food and I have made it for countless potlucks as well as easy weeknight dinners. Thank you for sharing!! I’m so happy you love it so much, Emily! Thank you for trying it out. Tried this today with gnocchi and a couple of modifications and loved it! Definitely reminiscent of Mac and cheese. I used 1/2 cup pumpkin and 1/2 cup mashed sweet potato and reduced the mustard to 1/2 teaspoon. Next time I would run the sauce through the vitamix to make it a bit smoother. Overall, great recipe that I’ll be using again! Just made this sauce tonight to test it for a thanksgiving potluck and it turned out amazing! I added it to pasta, then topped it with stuffing and baked it in the oven. Delicious and super easy! Hi Tereza, Awesome news…thank you so much!